An invitation to attend a Referendum-flavoured BBC Question Time is simply too tempting a morsel to ignore. Here was a chance for me to witness the interrogation of one side of this Century's great debate and, just as importantly for me at least, watch one of the great Dimbleby dynasty in their natural habitat. And, let’s be frank, this is a stolen radio format, thanks to ‘Any Questions’ dating back to 1948 on the wireless, and now hosted by his younger brother, so there were production lessons to be learned. Participants are sought online at the outset. You're asked to divulge all but shoe-size, so the producers can legitimately select a panoply of folk and views. You're also asked to chew your pencil and dream up a couple of typical questions. The phones of the lucky short-listers ring a few days later and a bright young thing checks that the audience recruits are still available and presumably that the chosen punters don't sound too odd. Again, you’re asked to volunteer two more questions. That’s more difficult, when you’ve just woken up, you’re carrying a bag of washing to the kitchen, and you thought it was just another PPI call. All in order, an email arrives inviting you to submit one more considered question, and advising that you’ll have a chance to devise a further one on the night. Twenty, maximum thirty words. That's a good technique for contributions: the ‘what else’ tactic to ensure that your question really is the best it can be, to probe beyond the bleeding obvious - and leave an opportunity for the last-minute topical angles. Whereas queues to entertainment gigs typically comprise those of uniform age, dress and taste, the queues to these events are, by design an odd mash-up. The spotty young lad sporting his dad’s twill suit jacket stands next to the crumpled bloke with the walking stick. Most scrolling up and down on their phones to avoid chatting to each other. Security is tight. Both before the day and at all stages on the day, all the checks you’d expect - and a few more - are wisely and scrupulously discharged. Once inside, the attendees, numbering 150 in this case, are thrown together in a room resembling a working men’s club, decked out with not quite sufficient tables and chairs, thus creating the sort of environment which prompts even Brits to talk to each other. ‘Room for a littl’un?’ Followed by that faux laughter. Before you can say 'the lady in the striped jumper', everyone is talking, enthusiastically exchanging views and trading lives with people they'd readily ignore anywhere else. The energy in the room rises – by design. Fuelled by biscuits and lukewarm tea, here’s the hubbub of an audience intoxicated with the prospect of helping to put Britain back together again. Le Dimbleby sweeps in to perform an unexpected cameo in this ante-chamber. Like a great headmaster, his presence and a single quiet word is sufficient to hush the crowd. He guides his audience for their roles. ‘This is your show, you represent the public'. 'If you want to argue with a panelist, do. If you want to argue with each other, do. If you want to argue with the person next to you, even better'. The audience are briefed, in good humour, on the personality of the, in this case, single panelist, so they can get the best from him. More instructions follow. ‘Don’t say 'thank you, good evening' when I come to you. Just get on with the question’ (he hates the superfluous ‘please’ and ‘thank you’ as much as I do). 'When you're speaking, pull your hand down'. 'Don’t wait for the boom mic, it’ll come. Don’t look up waiting as it looks as if you are waiting for divine intervention'. 'Do clap. Do hiss'. 'About half of you are in, half out and a few ‘don’t knows'. But you’re all mixed up’. 'Please stay on the broad topic we're on, if you chip in'. Eventually filing inside, the auditorium itself is dressed to look bigger and more crowded on camera than it really is. Seats are taken almost at random, with a tad of direction, and you’re sat there for the duration – about two hours. An hour of warm-up follows, discharged by an entertaining accomplice from the production company, Mentorn Scotland. He repeats David's instructions, and briefs the giggling throng on how to put up their left, then their right hands, do Mexican waves, and relax. Applause is rehearsed, both polite - and the vigorous version signifying angry British agreement. We are invited to 'get our selfies out the way'. We do. Before being told to turn phones OFF. He then lobs a old chestnut topic into the crowd as a test, coaxing his audience to get used to putting their hands up and arguing with each other. After a cautious start, the sap rises. Three boom mics are deployed by lanky youths, with each allotted a section of the audience. Dimbleby arrives in the main auditorium. His presence regal, his popularity of boy band stature. Given this special QT was live, however, he had a further twenty minutes to fill. An impromptu Dimble-bot question session ensued: ‘Do you find it difficult to remain impartial, David?’. ‘No.’ ‘Which way are you voting?’ ‘I don’t tell my wife, I’m not telling you’. His impish answers are perfect and delivered with comic timing. I asked if he remembered his 1975 Referendum show. Just like we radio presenters, of course he didn’t recall his own work. ‘What about your tattoo?’. ‘It’s got the wrong number of legs’, he confessed. ‘Do the politicians know the questions beforehand?’ ‘Never’. No-one dared ask him if he really understood anything about all the social media channels he mentions every week. What a remarkable man. This 77 year old veteran performer oozes star quality. His face appears made for television with just a half-smile speaking volumes. This Referendum format also obliged him to stand for the whole event. And he’s another two of three of these marathons within ten days. He’s fit. The questions have, by now, been selected from the hundreds submitted. I'm guessing they divided them into the key themes, then picked the best from within those, then checked that a satisfactory range of characters would be delivering them. The names of the lucky questioners are read out; and the offenders asked to stand up for their seat number to be noted for the cameras and mics. They are then summoned backstage to be briefed; and reminded of their question by means of a slip of paper. One imagines that, at this stage, the producers can still quietly decide to place some chosen questioners at the, ahem, bottom of the list. All return, likely wishing they were somewhere else. ‘When we come to you, do please ask the question you said you were going to ask’ reminds Dimbleby. ‘If we want to just chip in with something and it was a question we’ve already submitted but it wasn’t picked, can we?' ‘Do what you like' retorts Dimbleby, by now confident he can take the stabilisers off the audience’s bikes. The floor manager uses a pre-arranged double hand signal to trigger the applause as the theme fades on the monitor and the suited guest arrives. The audience duly oblige. Dimbleby begins his enviably brilliant performance. That gravity with a hint of mischief and stand-up which has endeared him, Day, Paxman, Ferrari and Humphrys to the nation. What is less evident from a TV viewing is how well he orchestrates the chatter. As the camera zooms in on the politician’s sweaty brow after a challenging audience missile, Dimbleby slyly winks gratefully at the questioner, as if to say ‘you scored’. Whilst one of his eyes is fixed at the politician, his other, with laser precision, appears to glance at the next audience contributor and a furrowed forehead signifies ‘you’re next’. Meanwhile, his pen serves as a remote control to cue an earlier vocal audience member to bounce back after the politician’s squirming. As a questioner ventures into a new territory, he flicks through his notes to make sure the next pre-arranged question sits in a complementary area. In spite of some evidently talented production resource in his ears, you can witness that David is doing his fair share on the hoof too. Here’s a man who not only conducts the orchestra, he plays the cello and drums at the same time. And then - like every great interviewer - he listens. He challenges the accidental asides that slip out from even the best-rehearsed mouths. His questions are short, each with purpose. Whilst relaxed throughout, the stakes on this live show are high. As we know all too well, an unwise editorial decision or errant words can spark another BBC annus horribilis. This programme, however, was a masterclass in bringing substance and style to air. Balanced and slick. The right questions from a well-cast audience in the right frame of mind. Sufficiently well-organised and practised; with the framework for departures made clear. The audience knew their parts. In radio-land, with key programme strands, particularly involving listeners, do we sometimes leave just that little bit too much to chance? 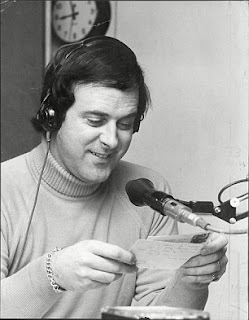 And, marvelling at this chap's age, talent and experience, how many great older radio broadcasters are now out of favour and tending their geraniums when they should be on the air? Take a quick look at what was on the radio on Referendum Day 1975! My book 'How to Make Great Radio' is out now, published by Biteback. 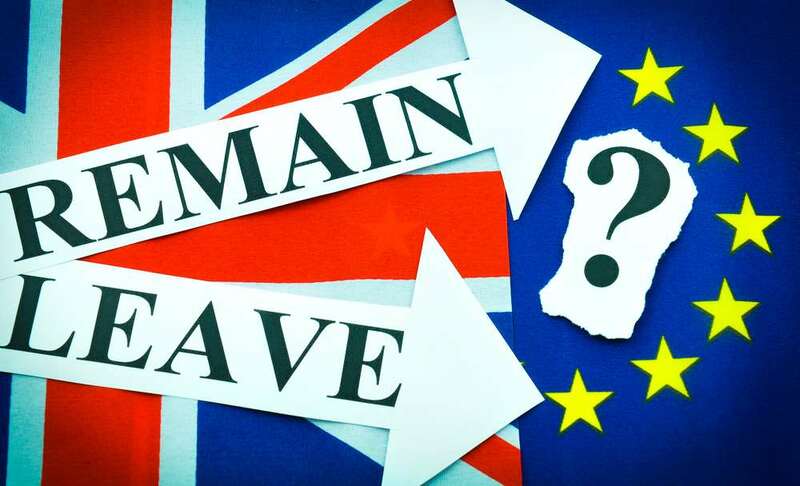 As we edge closer to the day of the 2016 European Referendum result, let’s tune the dial back to check what an anxious Britain listened to 41 years ago, last time the big question was posed. In 1975, BBC Radio 1 didn’t trouble to wake up until 7.00. Noel Edmonds, however, would have made stirring thoroughly worthwhile with his excellent breakfast show, playing 10cc, Wings and a dash of Mac & Katie Kissoon. One suspects he would have avoided playing the Number 1 from Windsor Davies and Don Estelle. Such songs formed the soundtrack to what was to be the hottest Summer in living memory (the record then stolen the following year). Noel was always top class entertainment, not least for his regular characters like Flynn the milkman - and his messing around with the pips. Blackburn followed at 9.00, in his reluctant mid-morning slot, albeit he’d begun to settle down and the 0900 handovers with Noel had become a tad less frosty. 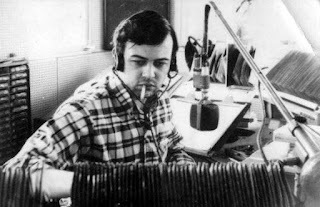 Paul Burnett hosted lunchtimes; and parka wearing teenagers would smuggle their red transistor radios into school in the haversacks to catch an illicit slice of 247. Newsbeat at 1230 with Laurie Mayer would have, no doubt, reported that voting turnout was 'brisk'. The lovely Diddy David Hamilton followed at 2.00 on 247m, squatting also on Radio 2's FM frequencies, before another Newsbeat and John Peel on Drive, produced by the legendary John Walters. Come 7.00, John would run his fingers through his long, dark hair, wham up the Radio 2 fader and leave BH; with his record box tucked under his arm. Across on Radio 2, then beaming across the UK and into much of Europe on the powerful 1500 LW, Simon Bates pressed the cart machines out of the 6.00 news, providing a warm up hour for Terry Wogan, then in his first stretch of breakfast. Pete Murray followed at 9.00, more concerned about breaking for Waggoners Walk at 1030 than for any great flurry of news action from Brussels. Nectar-voiced Jean Challis helped us across lunchtime, before the Hamilton Radio 1 job share, save for a few afternoon opt-outs for sport, with commentary from Epsom provided by the excellent Peter Bromley. After 'another trip down - Waggoners Walk' at 5, Sam Costa entertained; with 'The 78 Show', 'The Organist Entertains' and folk music paving the way for 'Edmundo Ros and his Orchestra in Radio 2 Ballroom', introduced by the the lovely Tom Edwards. The Trust really should demand that ballroom be re-opened, if only as that Board's mischievous farewell gesture. The deep tones of Don Durbridge came on-air on Radio 2 as polls closed, taking us through to closedown at just after half past midnight. Overall, a fascinating line-up with arguably more musical variety than now, but a little less speech substance than Auntie would perhaps tolerate nowadays. The thread of consistency between Radio 4 of old and now appears strongest. The dawn bulletin there was followed by 'Farming Today' and the 'Today' programme with a great John Timpson and Barry Norman partnership - including regional news opt-outs. 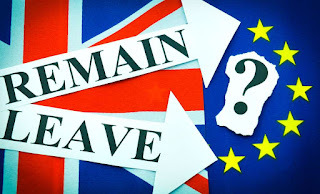 With the usual restrictions on what one can say on-air on polling day itself, the duo were probably pleased that 'Today' ended at 8.45, putting aside European matters in favour of a short story. 'These you have Loved' followed at 9.00 with 'FOOC', 'the Daily Service' and 'Morning Story'. ‘If You Think You’ve Got Problems’ then made way for Sir Geoffrey Jackson 'In Search of El Dorado'. If you're interested. An edition of the earnest 'You and Yours' programme swiftly followed, replete with theme tune back then, and no doubt carefully avoiding European consumer issues. A dose of 'My Music' provided light relief before the legendary Bill Hardcastle boomed out the news in 'The World At One', which then lasted just half an hour, presumably because less used to happen back then. 'The Archers' returned at 1.30, likely more concerned about jam making than attempted murders in those days, just before 'Woman's Hour', then in its afternoon slot and caressed by the immaculate Sue MacGregor. That day's edition actually featured a sprightly Delia Smith too. At 2.45, the Nation's primary school children sat cross-legged on the parquet flooring to enjoy 'Listen With Mother', before the latest news at 3.00 and 'Afternoon Theatre'. The idiosyncratic Jack de Manio made an afternoon appearance before 'Story Time' and ‘PM Reports’. Like Cheryl, Dusty and Dale, the latter programme is now sufficiently famous to be known by its first name alone. On Referendum Day, William Hardcastle was in the chair, conducting 'the PM reporting team’. The evening then continued with 'Dad's Army', 'The Archers' and other familiar programmes including 'Analysis' and 'Any Answers'. The dreary 'Kaleidoscope' preceded 'The World Tonight' hosted by its founding presenter Douglas Stuart; 'Book at Bedtime'; and the 'Financial World Tonight'. Like its BBC friends, the network closed down by midnight, so politicians and listeners could grab some much-needed sleep. Maybe we all went to bed earlier back then. The twenty BBC local radio stations were in action. Commercial radio coverage, however, was geographically scant, given the initial network was only half-complete. Just Capital, LBC, Clyde, BRMB, Piccadilly, Metro, Swansea Sound, Hallam, City, Forth and Plymouth Sound were alive to tell the story. Each of those, however, had their output tightly controlled by an enthusiastic regulator and were thus dispensing lengthy bulletins and features from their large unionized newsrooms, each equipped with purring teleprinters, portable UHER tape machines and likely a radio car with a wobbly aerial poised for its next trip. The updates from London, provided by IRN, arrived at each commercial station down a poor quality landline, with the crucial audio cuts of Heath, Benn and Jenkins captured remotely on large reel to reel tape spools. 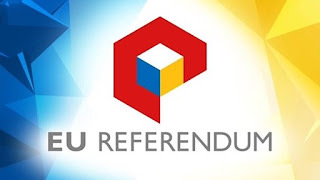 And, maybe fitting for this thoroughly European occasion, by nightfall as the polls closed, huge swathes of younger listeners would be forsaking their often pedestrian British radio stations in favour of Radio Luxembourg, beaming in the latest hits from the Grand Duchy on 208. 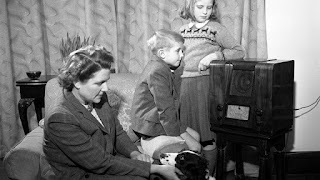 Whilst the Radio 4 schedule appears a touch more frothy than today's Radio 4, it is remarkable how many of the current affairs and magazine programmes survive to this day - maybe a nod to the wisdom of the programme changes implemented under 'Broadcasting in the 70s' which injected such clear and lasting definition to the service. We know too, having heard the recent weeks of debate that not only are the Radio 4 programme titles the same as in 1975, their content likely is currently similar too, as the internecine debate rears its head again 41 years on. What's it like to attend a recording of BBC Question Time?